MANILA, Philippines – Classes have been suspended in several areas on Monday, September 17, 2018 due to the continuing effects of "Habagat" and the devastation left by Typhoon Ompong (international name: Mangkhut). 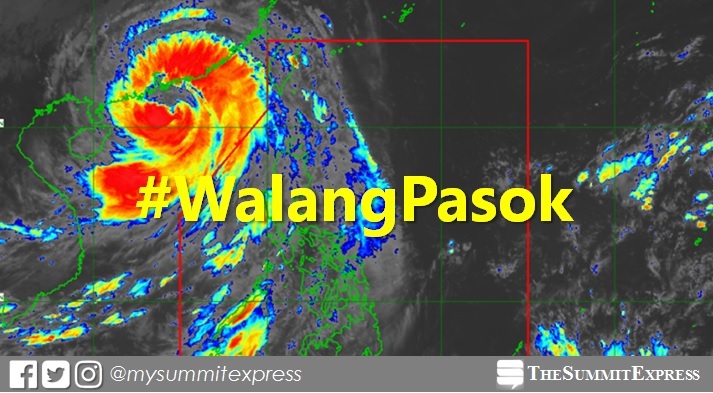 At 10:00 am on Sunday, PAGASA tracked "Mangkhut" at 705 km West Northwest of Calayan, Cagayan (closer to Southern China) or outside the Philippine Area of Responsibility (PAR). Meanwhile, the weather central said that Southwest Monsoon (Habagat) enhanced by the typhoon will bring occasional gusty winds and scattered light to moderate to at times heavy rains over Western Visayas, MIMAROPA, Ilocos Region, Batangas, Bataan and Zambales.